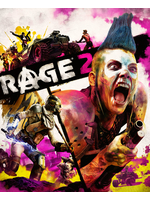 The madness-fueled RAGE 2 showcased its seamless open-world and brutal gameplay during Bethesda's showcase, the perfect Mad Max-style alliance from id Software and Avalanche Studios. Enjoy it in top quality inside. The game is slated to release in Spring 2019. This looks pretty cool! I have been looking for a sandbox fps I would really enjoy since Crysis 1. This may be it. The advertising campaign for this game does it zero favors but I do like the idea of a borderlands style game with a doom twist. It definitely has promise at the very least and it’s visually appealing mostly. Post apocalyptic pop punk. Looks fun. I don't see how this compares to Crysis, except for the fps part. 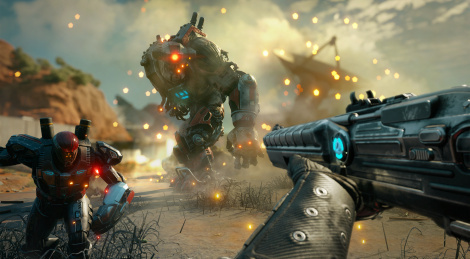 This looks like Bulletstorm and Doom had a baby in a Borderlands open world. Yeah this could have been named Bulletstorm 2. I don't say it as a bad thing, gameplay looks solid enough, but i definitely won't jump day 1.